Oz Linden, Technical Director for the Second Life platform at Linden Lab, has issued a blog post indicating the Android client “IM To SecondLife” has been blocked from accessing Second Life. According to Google Play, “IM to SecondLife” was released in September 2015, and since then has seen more than 10,000 downloads. 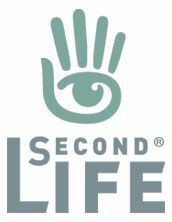 If you have at any time used “IM to SecondLife”, or know someone who has, please ensure you read the blog post from the Lab and take the recommended action, or direct those you believe to be using it to read the post. Is this what happened to Lumiya Viewer or is it a different story for why it is no longer included in the TPVD or mentioned anywhere else recently ? Unlikely that Lumiya was unlisted for an infraction like this, simply because the Lab would have issued a notice were it to be the case. Obviously, there are multiple reasons why a viewer / client can be removed from the TPV Directory, including the creator requesting its removal. Given Alina’s dedication to developing Lumiya and her care in keeping it within the Lab’s TPV requirements, I would say this is more likely the case. Should I ger a reply to enquiries from her that can be made public concerning Lumiya, I’ll be sure to post it.